A Democratic candidate in a Washington toss up district likened running for Congress with President Donald Trump in office to activism during the civil rights movement and fighting in World War II. 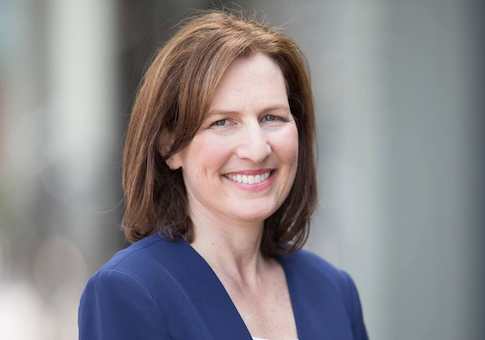 Kim Schrier, a progressive pediatrician who recently won the Democratic primary in Washington's 8th congressional district, made the comments during a March interview hosted by Washington State Indivisible, a liberal anti-Trump group, which was noted by the Washington Examiner on Tuesday but received no attention at the time of the interview. During the interview, Schrier said that she got her political start by attending Indivisible meetings and protesting in front of Republican Rep. Dave Reichert's office, the current representative in the district who is retiring from Congress. After the host spoke of wanting to be able to say to the young people in their lives that they were politically active in the "resistance" when the country needed them, Schrier compared running for Congress with Trump as president to the civil rights movement and World War II. "I do think this is one of those moments in history. I think back to the questions we ask our own parents, like I ask my parents: What were you doing during the civil rights movement?" Schrier said during the interview. "And I imagine things like what would I have done in World War II? I would always like to think that I would be on the right side of history and that I would be bold enough to stand up and do the right thing, and brave enough." "So, I know my son Sam will ask me one day: ‘Hey Mom, what did you do after Trump got elected?' And this is my answer to him," Schrier said. The host called Schrier's response "wonderful." Schrier is facing Republican Dino Rossi, a businessman who served in the Washington state Senate, for the seat being vacated by Rep. Reichert. This entry was posted in Politics and tagged 2018 Election, Donald Trump. Bookmark the permalink.